To Flip or Not to Flip - Advantages of Two-sided Grilling | DSL Inc.
What are the advantages of two-sided grilling? The main edge the Taylor line of grills has over the competition is the ability to cook from two sides! Two-sided or “clamshell” grills cook from both sides reducing cook times by 40-60% when compared to a flat top grill. Another advantage of two-sided grilling is the consistency of product. Two-sided grills transfer heat evenly across the entire cooking surface to ensure consistency. The platen also applies exact pressure, searing the menu item on both sides at once, every single cook cycle. The result? less shrink and better yield on your product! Two-sided grills can also save time and money by eliminating production steps! Every cooking process involves multiple steps including seasoning, placement, positioning, forming (pressing) with additional steps like flipping, adding toppings, etc. Two-sided grills eliminate some processes such as the need to flip a product resulting in increased profitability and productivity for the operator. Comparatively, cooking on a flat top requires constant attention to ensure the product is properly cooked. Two-sided cooking has been a staple of the Quick Service Restaurant (QSR) Market for many years with wide spread success. 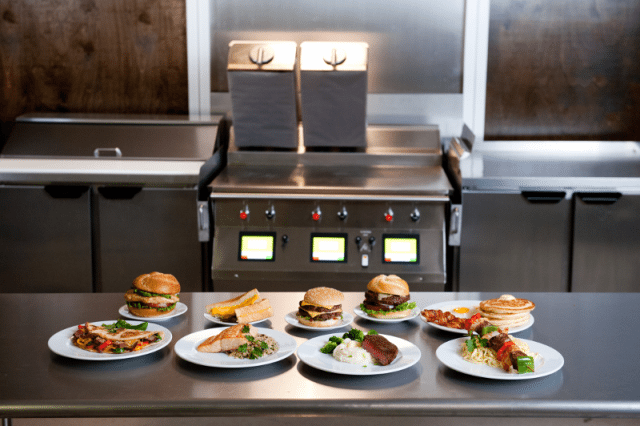 With some of the biggest names in QSR’s relying on Taylor Grills to ensure complete consistency and efficiency, we’re willing to bet you’ve had something cooked on a Taylor Grill before. However, QSR’s aren’t the only application for this equipment, recent trends in food service show a growing demand for fresh, made-to-order menu items forcing other markets like the convenience store segment to adapt to changing consumer demands. 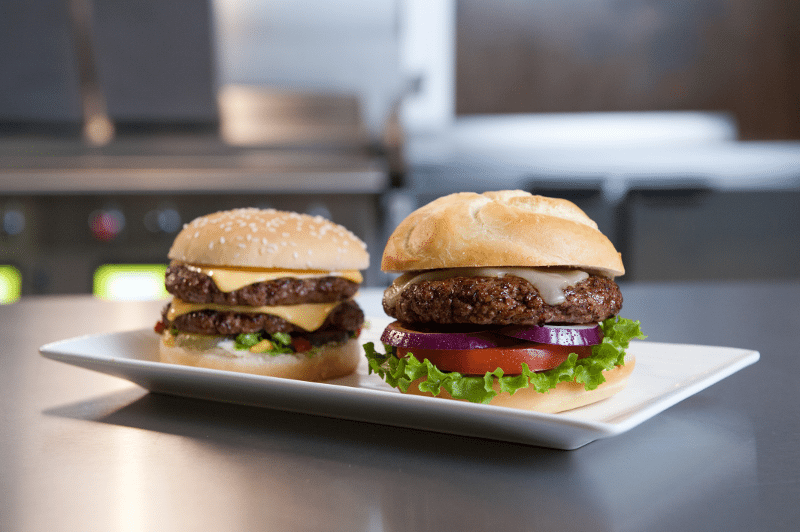 With the ability to cook much more than just the perfect burger, consider adding a two-sided grill to your operation to expand your product offering and capitalize on the increasing demand for quality food items, quickly and consistently.